Mystery Gallery: Do you have any information on this photo? 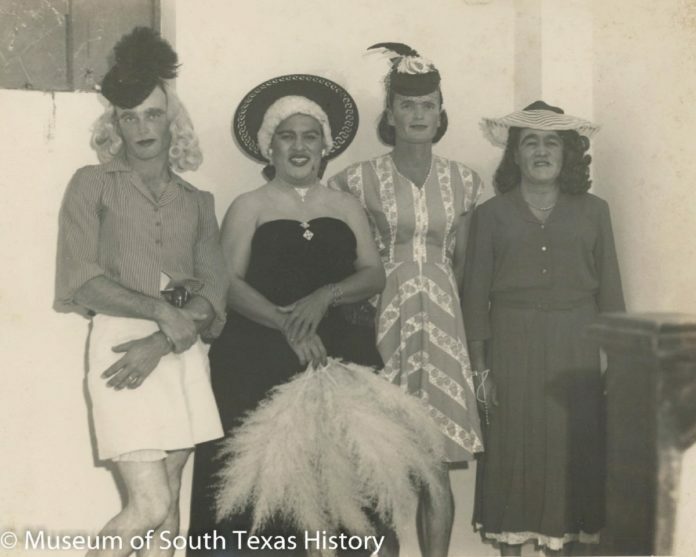 Four men dressed in women’s clothing and wearing makeup. Mencho Cortina is second from left, Fred Simmons on the far right. Cortina Studio photo donated by George and Sylvia Wells. Who are the other men? Why were they dressed like this? Send information with photo No. 25 to kfrancis-love@mosthistory.com. If you or someone you know may have details about this photo, you can email Museum of South Texas Archivist Kelly Francis-Love at KFrancis-Love@mosthistory.org.